If the art world needs a contrarian, Anna Khachiyan can oblige. Along with Dasha Nekrasova, Khachiyan co-hosts the podcast Red Scare. The New York duo’s weekly, often provocative, look at cultural news already has healthy base of Patreon supporters since launching in March. Part of the so-called Dirtbag Left, Khachiyan and Nekrasova are caustically skeptical about the niceties of mainstream liberal thought. In balancing an indulgance in bad taste and being reactionaries, the Red Scare duo sometimes risks sounding like an internet troll act. But as a writer, Khachiyan is a too-rare voice in a world that’s voguish for art best understood through moral positioning. Her recent essay Art Won’t Save Us tackles why so much political “resistance” art aimed at U.S. President Donald Trump is ineffectual, and argues what’s needed is more critical thinking around the power big tech companies have over our lives. In town on Friday to speak at Art Toronto, Khachiyan chatted with NOW over email last week. Your essay is a series of propositions that ends with a stunning observation, one I haven’t seen anyone else make. 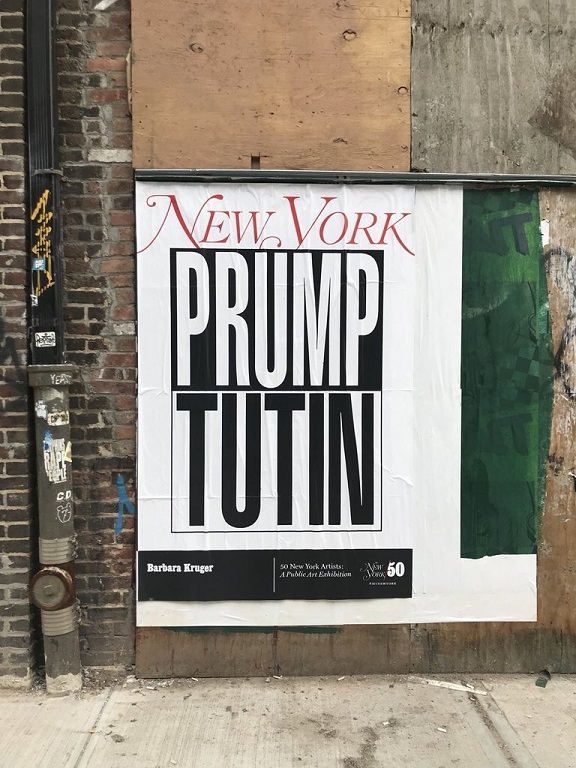 But before we get to that, I want to ask: You dismiss political art like Barbara Kruger’s PRUMP/TUTIN poster as “vapid sloganeering.” But, to state the obvious, isn’t that what artists do: work with visual elements? It goes without saying that artists primarily work in a visual language. But there’s a difference between understanding something in aesthetic terms and insisting on its moral significance. The sense you get with all this anti-Trump political #resistance art is that it’s aggressively propagandistic yet bizarrely phoned-in. What’s especially bad-faith about the propagandizing is that it’s not in service of some political agenda, but rather personal consolation and mutual flattery – not so much anti-Trump as pro-themselves. These people are so scandalized by Trump’s persona precisely because they’re so removed from Trump’s policies. On a more basic level, the aesthetics are just so corny as to be embarrassing for everyone involved. The art world has lost sight of the fact that artists are under no moral obligation to be role models, which is what made them such compelling interpreters of reality in the first place. I disagree on the aesthetics being corny. I’d say Kruger’s work is more classic protest style. Art gets part of its power from finding new relevance for visual formats. But I agree that artists who want to be role models are misunderstanding their role. In your essay you write that art needs mass appeal to have political force. What are you thinking exactly? TV has mass appeal, art typically does not. I’m thinking more of the Soviet mode of socialist realism. The Soviets came the closest to successfully engineering the total collapse of art and life. But it came at a cost: the tyranny of an enforced style. Interestingly, in America today you also have the presence of an aesthetic and ideological monoculture, though the difference is that it’s not so much enforced from the top down as self-enforced. The claim that I made in that essay – that the Trump administration is the first properly capitalist realist “regime”– is crucial to the degree that it has been able to successfully absorb and neutralize artistic dissent. Trump parodies himself so well that any form of protest art, whether earnest or satirical, falls flat. That’s why that classic protest style you mention looks so ill-suited to the current context, and is also why mainstream TV political comedy like Saturday Night Live or The Daily Show are equally cringeworthy. Your comparison of the received wisdoms of today’s art milieu with Soviet realism is useful. As I mentioned, your essay offers another powerful insight: a reluctance in art circles to grapple with “the systemic dangers lurking… in the digital networks… governing our everyday existence.” You’re right. Platforms such as Facebook, Instagram and Twitter should be a focus of art’s political talk and action, but they aren’t. Any thoughts on why? Well, for starters, it’s a daunting proposition – not only from the standpoint of our willing participation in these networks, but also in the sense that the language we use to understand them is unwieldy and not agreed-upon. That is, before anyone can launch a systemic critique, let alone a concerted action, we first have to author the theory around it. “Platform capitalism,” for instance, as a particularly aggressive exponent of neo-liberal orthodoxy, is for the most part uncharted territory. If you really want to psychoanalyze it, there’s also the question of the art world’s collective guilt. As I’ve said before, these [artists] are the people who are least likely to be meaningfully affected by any of Trump’s policies, so they’ve re-routed all of their energies into performatively grandstanding over his persona. But a politics that privileges affect and sensibility over society’s common interests will always be toothless. The art world’s power players, at least subconsciously, know this about themselves. 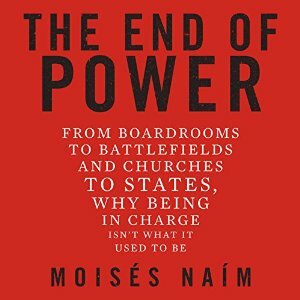 They know their unwillingness to part with their power, however narrowly defined, is precisely what makes them so powerless, so they’ve overcompensated in the opposite direction. This essay was written to accompany the exhibition of the same name. Details below. Donald Trump deriding his electoral opponent as a “nasty woman” is hardly the biggest problem associated with the new American president. The insult delivered during the third presidential debate does, however, have relevance to the bizarre state of affairs that is the United States in 2017. The country is currently in the grip of a self-inflicted catastrophe. Chaos is not too strong a word for what is unfolding; who knows where its all heading? But just think what the cause is — the threat of a woman holding the country’s highest office. Reality TV host and fraud businessman Donald Trump was thought a better alternative than that. Nasty personifies the idea of an embodied threat. On the occasion of Trump’s inauguration, the word takes on an added significance: as an emblem of resistance. Taking this challenge on, Nasty the exhibition is organized to coincide with the inauguration and the worldwide protests that are accompanying it. The idea of nasty connects with art in the latter’s embodied seductions — art is always in some sectors considered dangerous, in a tangible but hard-to-define way. We know from Plato that art is thought a program for deception; like misogyny, the social prejudice against it runs eons deep. If artworks and women still engender a suspect reputation, what is the problem exactly? Going back to Hilary, the New York Times ran an illuminating opinion piece last November 5th, three days before the election. Titled, “The Men Feminists Left Behind,” the author Jill Filipovic talks about an America (and by extension all of the West) in which men have enjoyed a default dominance, forever. “It was mostly white men in charge and it was white male experiences against which all others found themselves contrasted and defined.” The clearest indication that this status quo might be undergoing change is — what else? — the resistance to it expressed by Donald Trump’s electoral success. Filipovic outlines the many advances women have made in the past decades — “For women, feminism is both remarkably successful and a work in progress” — and notes that “men haven’t gained nearly as much flexibility.” Accurately derided in Vanity Fair as “shallow and mediocre,” Trump as US President is living proof that men still rule, regardless of how ill-suited they may be for the job. Is the argument of this show then that artworks are like women? Clearly, yes. More specifically it proposes that both derive their power from a position of vulnerability. This position, however, produces in its turn an entire world of invention. Writing about Clinton’s loss to Trump in the election, the philosopher Rebecca Solnit notes: “power… is a male prerogative, which is to say that the set-up was not intended to include women.” If power is not “set up” for women to share in, they have to figure out other ways to get it. Faced with this reality, the appurtenances, so called, of the feminine are a way of owning it — if not power necessarily, then an equivalent force all its own. An heightened relevance for feminist politics provides the context for this exhibition, but its not a political show. Nasty presents work by eight women artists, each one in some way investigating the visual culture of femininity. The types of practices on view are wide-ranging. Through surface collisions of ornamentation and draping, Shannon Bool evokes the figure of the feminine, as both historically specific and timeless. Stiletto heels, rendered as both support and staging ground, form the basis for Elizabeth Zvonar’s evocative collages. The power dynamics of looking take on new — gendered — meaning in Nadia Belerique’s shelf sculptures. Jennifer Murphy’s delicate sculptural collage works hint at the poisoned barbs that lie beneath the natural world’s seductions. Against an astringent blue background, the title Shady Lady (2010), suggests the gendered nature of Kristine Moran’s gestural abstractions. Aleesa Cohene’s 2009 video installation Like, Like discovers ulterior narratives for mass culture’s female icons. With Valerie Blass’s 2009 work Touche de bois, wood and jeggings are combined to be somehow confrontational. And finally, and hardly least, Kara Hamilton contributes further embodied aggressions with the beast-like, Tonka, a work she made in 2015. See also, Nasty Talk: Feminist Art In The Age Of Trump, a reprint of this text with a nice selection of images from the show, at Good Trouble Magazine. On Art and Populism: Is the populist groundswell today an effect of the internet? The French political economist Guy Sorman makes a useful distinction between populist tendencies and civil society, which assumes that to be effective the former would have to be absorbed into the latter. He also says all contemporary populist movements share use of social networks on the internet as a means of mobilization and expression. Its an important point perhaps too easily overlooked. Taking into account the way populism’s ability to “galvanize new forms of political engagement”gets intensified by the internet, I put together an expanded list of today’s populist movements. The list includes recent mass movements that are popular but can’t be defined as populist because they lack a definitive leader or political party affiliation. Note that many of the populist tendencies listed below emerged within the last 5 years. Arab Spring (Tunisia, Egypt, Libya, Syria, Yemen, Bahrain, Saudi Arabia, and Jordan) Uprisings for democracy that spread across the Arab world in 2011 (in the order listed above). The role social media played in these movements is acknowledged to be significant. Four years on, lack of civil society traditions sees the Arab Spring momentum stalled or moving in reverse, in some cases to catastrophic effect. Bernie Sanders (US – Democrat) The so-called “socialist senator” is galvanizing voters in the US simply because he addresses issues like income inequality and advocates for federal stimulus spending. Building a financial base through small donations, it remains to be seen if he poses a real threat to the“dynastic, seemingly unstoppable Democratic nominee frontrunner”, Hillary Clinton. Dansk Folkeparti/DF (Denmark) One of the Danish People’s Party’s stated goals is to prevent Denmark from becoming a multiethnic society. Winning 21% of the popular vote in June elections, the DF “once seemed quite extreme but now they’re mainstream” — to the extent that they have pushed Denmark’s political landscape to the right. 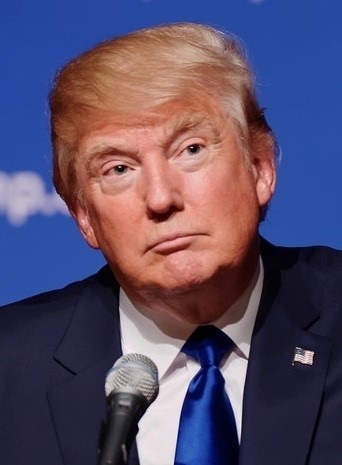 Donald Trump (US – Republican) Is Donald Trump’s Rhetoric Distorting Reality? asks a clickbaiting recent headline. The idea has some plausibility if it’s a reality measured in wall-to-wall media coverage backed by a personal fortune counted in the billions. As a populist candidate, Trump is the genuine example of the phenomenon, using xenophobia and bribes to manipulate voter emotion. English Defence League/EDL Cas Mudde, scholar of the radical right, calls emphasis on the most extreme and photogenic radical right groups “misguided.” While admittedly a fringe tendency, the EDL’s anti-Muslim platform backed by thuggish street protests can be filed under the category of populism that is deleterious to the public order. Freedom Party of Austria/FPÖ (Austria) Founded in 1955, the far right FPÖ can be included in the anti-migrant wall-building strain of populist tendencies. Although they surged in popularity in October elections, it was not enough to unseat the Social Democrats, Vienna’s governing party since the end of WWII. Forza Italia/FI Founded in 1993 by Silvio Berlusconi, four time Prime Minister of Italy. The centre-right party is the best recent example of cult-of-personality populist politics, aided no doubt by Berlusconi’s personal television empire. Its current state is disarray, populist allegiances having shifted to either comedian Beppe Grillo’s M5S or the Northern League, which calls for independence for the north and an end to the Euro. National Front (France) Led by Marine Le Pen, daughter of Jean-Marie, the party’s long time leader (1972-2011). Signaling Marine’s more mainstream intentions for the party, the elder Le Pen was in August expelled from the party in the wake of his statement that the Holocaust was “a detail of history” (a view he first expressed in 1987). Party for Freedom/PVV (The Netherlands) “Mass immigration is leading to the dilution of cultural identity in the European Union member states” wrote the PVV’s Geert Wilders in an opinion editorial in the Wall Street Journal coauthored with France’s Marine Le Pen and Matteo Salvini of Italy’s Northern League. It’s a show of unity that may belie a more significant weakness, as 2014 European Parliament elections saw a drop in the extremist party’s support at the polls. Patriotic Europeans Against the Islamisation of the Occident/Pegida(Germany) Anti-Islamist protest alliance founded in Dresden in 2014. Leading weekly street protests that have been moderately successful in Germany, “the group’s demonstrations elsewhere in Europe have not witnessed significant participation.” Plans to form a political party look unlikely to go ahead. Podemos (Spain) With origins in the anti-austerity Indignados series of demonstrations in Spain, Podemos was founded in 2014. Led by the 36 year old academic Pablo Iglesias, Podemos gained in regional elections in May of this year but more recent polls show a softening of support in advance of a general election on December 20th. Occupy (Global) – Starting in 2011 with the occupation of New York’s Zuccotti Park, the anti-capitalist movement grew to see Occupy-related events staged in 951 cities in 82 countries. In part inspired by the Arab Spring and Indignados movements, in the US Occupy is often described as the left-wing populist counterpart to the right-wing Tea Party. Current activities include activist debt relief. Tea Party (US) – A symptom of ideologic dysfunction within the US Republican Party, the Tea Party movement recently expressed the full force of its nuttiness by forcing John Boehner, the already right-wing Republican Speaker of the House to resign, for not being extremist enough. A movement started in 2009, the Tea Party shares in common with the Arab Spring and Occupy decentralized leadership and lack of a uniform agenda. 20/10 2015 A quick formulation for the phenomenon of political populism could be: a tendency that gains in traction to the extent it departs from reality. To flesh this idea out it will be important to define what “reality” stands for in this equation. More of that to come. First, some laboring of metaphor. Populism allows for a politics of aspiration, cut loose from the anchor of pragmatism. It’s an idea of a polity adrift that assumes eventually it will have to be hauled back to the dock. This means someone like Donald Trump, currently frontrunner by a wide margin in the Republican race for US Presidential nominee, cannot in the real world be the captain of the ship. Or he could be, if he became a different Donald Trump, one whose insalubrious personality and “policy views bordering on gibberish” became subordinate to the time-honored protocols and procedural methods by which the real business of government happens in the US. You see the problem here? By the same token, concerns such as the everyday effects of our era’s massive income disparity lack an obvious democratic remedy within the current system. The politician or political party ready to acknowledge these facts1 will get voter traction, but at the same time be considered not serious candidates by the political establishment. The reason for this is apparently that mainstream political operatives exist simply to function as the respectable face of the economic system that backs them. Against the prevailing sense of deadlock this situation creates, our moment sees many proposed alternatives emerging. If they are in inchoate form, that’s okay. To state merely that an alternative is needed is the first step. This after all would seem to be the gambit made by the Occupy movement, which proposed itself as a model form of direct government. Working in a self-organized fashion and without mediation of a political representative, its gesture was to occupy the ground of the present. If Occupy has moved on to other initiatives, it’s important to recognize that the movement anticipated many of today’s developments, not least the addition of the term 99% to our vernacular. It’s a conceptual tool that may prove decisive in the emerging political landscape to come. 13/10 2015 One of the discarded ideas I had for the title of this blog, which looks at the topic of political populism as it relates to art, was “Plebiscite.” Populism and plebiscites share the idea that the people are sovereign. Commendable on the face of it, the ideal of direct democracy has limited practical application. The expression of popular opinion that a plebiscite allows risks being too immediate (too emotional, too self-interested) and therefore risks failing to protect the broader public interest. Looked at from this perspective, it’s easy to see why the phenomenon of political populism, whether an impulse arising from the right or left, will always be regarded with mistrust. By seeking out alternatives to established political parties and actors, the populist impulse presumes to appoint the fringe candidate or party as its direct representative. However effective an expression of popular discontent, this bypassing of mainstream political avenues would seem to carry the risk of steering the polity into uncharted territory. Tensions within Europe may be one reason for the rise of political populism on the continent, but wider forces are driving the phenomenon. Arguably, the semi-legitimisation of populist political alternatives is a symptom of a larger transition being undergone in the West. In part, this can be attributed to the way digital technology remaps the landscape of the public commons, to good and bad effect. Digital diffuses power across its network, bringing with it new standards of transparency and accountability in public life. At the same time, digital infrastructure enables asymmetric power advantage. The web is an amplification tool, with a wide reach disproportionate to the resources required to have such an effect. And this is rather the case everywhere. Globally, art organizations find themselves embattled. Operating according to a business model that includes public money, they get characterized as being undeserving of tax revenues. The political pressure to justify this largesse results in the education and outreach programs of today’s contemporary art institutions — not in itself a bad thing. Regardless, at its base the practice of contemporary art is not a popular endeavor. Artists work within a context that will be most intelligible to an audience educated about its traditions and precepts. While representing a shared inheritance art can reasonably be perceived as only speaking to the few. Of course this shouldn’t matter. Public money benefits everyone in one way or another, including an encompassing range of initiatives within the private sector. However, the tradition of the public sphere that includes art carries within it many of the common values — like free speech and critical enquiry — that could be considered a threat to the global elite’s highly successful project of public funding cuts for the poor and middle classes and wealth accumulation for the rich. George Packer notes that populism is a volatile tendency that “flourishes in periods… like our own, when large numbers of citizens…feel that the game is rigged against them.” It’s a truth that explains the ascendance in the United States of Donald Trump, a billionaire demagogue who connects with his audience because he is an independent with no association with institutions rightfully perceived to be corrupt by the general populace. That Trump continues to have a strong lead amongst Republican candidates for Presidential nominee, despite his noxious (and farcical) political ideas (deporting millions of undocumented immigrants; building a wall between the US and Mexico) suggests the degree to which the traditional options are discredited. If contemporary art can be said to represent a set of values, it’s important to identify what they are and how artworks are understood to embody them. This is the first of an ongoing series of blog posts that will lead up to and accompany Kunsthalle Wien’s Political Populism exhibition and On Art and Populism symposium. The blog proposes to look at what these values are, why they are worth protecting, and what historical circumstances are currently at work to undermine them, as articulated through reference to art and its institutions. 1) Chantal Mouffe, “Right-Wing Populism: The Mistakes of the Moralistic Response”, The Populism Reader (Berlin: Sternberg Press, 2005) 63-68. You are currently browsing entries tagged with Trump at Army of YouTube.